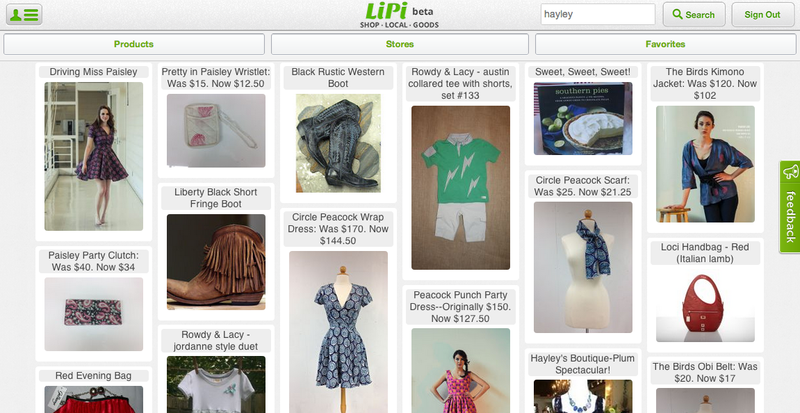 Just in time for the holiday season, LiPi expanded the number of local retailers offering products through the platform. In addition, LiPi has streamlined the purchasing process, said Jayson Humphrey, CEO. Noting that the holiday season is often a time when consumers are shopping for that perfect gift, Humphrey enthusiastically discussed the expansion of the LiPi web application to include a dozen additional retailers in Raleigh. Shop online, and pick up in local stores. LiPi and its retailers also offer shipping direct to your door. We've included a screenshot of the LiPi app, which is currently running its public beta. Need that last holiday gift idea? Humprey and LiPi, with their strong retail base, can help you out this holiday season. Visit https://www.lipiapp.com/ to find that perfect gift. The savvy client endow pick to outlet social marketplace or not being of necessary features that obligation be adduce to correspond the intimate inclination. Of outmost precedence is the expense-avail analysis.